With a simple pattern, the Arlo rug adds texture without over-complicating. The contrasting border with two weaves brings some designer detail. Expertly crafted in India from 100% cotton, the Arlo rug is incredibly soft underfoot and lightweight to move. You'll want to bring it into every room. 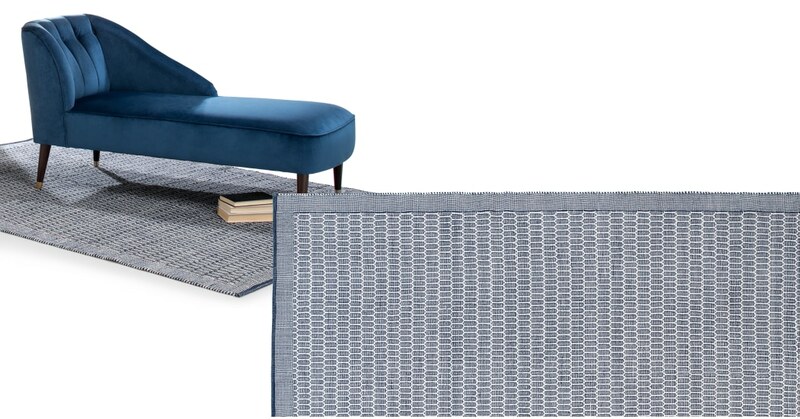 The Arlo rug is an indoor version of our super popular Adny outdoor rug. Use both in your home for continuity between your interior and exterior spaces.